After near 40 years in the business, High Times has published its first-ever cookbook. The deliciously definitive guide to cannabis-infused cooking features easy recipes and advice which demystify the experience of cooking with marijuana. With recipes inspired by Snoop Dogg, Cheech & Chong, and Willie Nelson, as well as beautiful (and, fair warning, hunger-inducing) color photos, The Official High Times Cannabis Cookbook is authored by Elise McDonough, who started working at the magazine a decade ago. Toke of the Town had a chance to chat with Elise about the book and about her life experiences which led up to it. 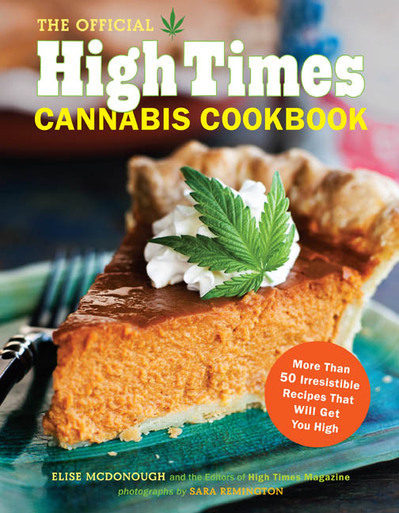 “I’ve thoroughly enjoyed researching edibles and testing recipes for this book!” McDonough told us. “I wanted to include stories from counterculture heroes, and so we included recipes for activists like Jack Herer, Brownie Mary and the folks at Wo/Men’s Alliance for Medical Marijuana (wamm.org). Toke of the Town: Tell us a little about how you became familiar with cannabis and the culture surrounding it. 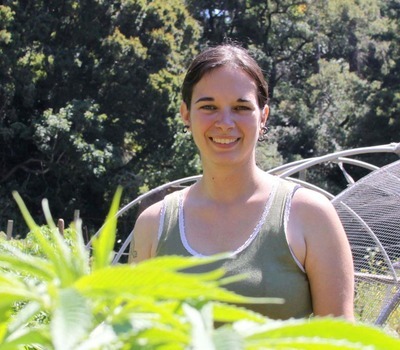 Elise McDonough: One of my first jobs in high school was working at the Cleveland Food Co-op, and that was where I met my first pot-loving hippie friends. We had a good time sneaking into the produce cooler and exhaling one-hitters into the fan! There’s a lot of pot people in Ohio, and for years we held weekly drum circles behind the Rock’n’Roll Hall of Fame. The mid-90s in Cleveland, with the counterculture scene on Coventry Road, and events like Hessler Street Fair, were how I was first acquainted with cannabis culture. Toke: When did you first become interested in cooking with cannabis? McDonough: I’ve been interested in cooking and eating healthy since I became a vegetarian about 15 years ago, and after I started working at High Times in 2002, it was natural to test out the recipes from our monthly “Psychedelic Kitchen” column and enjoy them on a sunny day in Central Park. Now, living in California, I am delighted at the variety and quality of cannabis-infused edibles, as well as the creativity and care that pot-friendly chefs express through their food. Toke: What are the biggest changes we’ll see in the field of cannabis culinary treats in the next five to 10 years? McDonough: I’d like to see an edibles industry association emerge to organize separate businesses under an umbrella that promotes safety, consistent dosing, and political action. 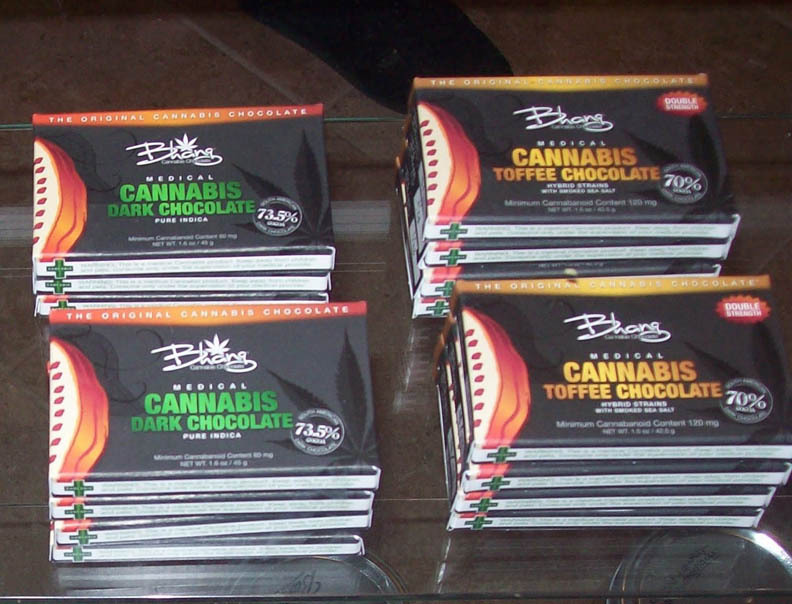 I think we’ll see more products like Bhang Chocolate and Dixie Elixirs, which have complete nutrition information on their packaging and a commitment to establishing a consistent dose through lab testing. 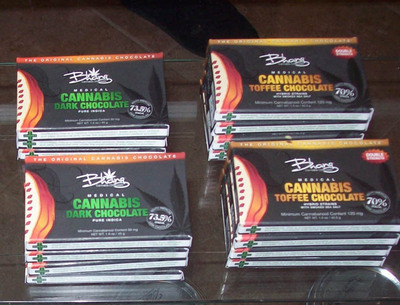 Communities in medical marijuana states are going to move to more strictly regulate the edibles sold in dispensaries, requiring health inspections and commercial kitchens. And of course, I think we’ll see the introduction of more healthy products like cannabis-infused raw “living” foods, as well as more options for vegans, diabetics and those with gluten intolerance. We need to move away from edibles that are packed with sugar and fat towards healthier choices for everyday use. The mash-up of Caribbean, African, and French-Canadian refugee culture in New Orleans has resulted in the birth of the modern counterculture in the city’s melting pot, Conga Square, not to mention centuries of amazing food and great music. Reefer flourished among the jazzmen and bohemians of New Orleans long before the rest of the country, and those pot-loving jazz cats surely had a healthy appetite for the city’s legendary cuisine! This gumbo recipe melts all these influences together into a truly unique and unforgettable dish. 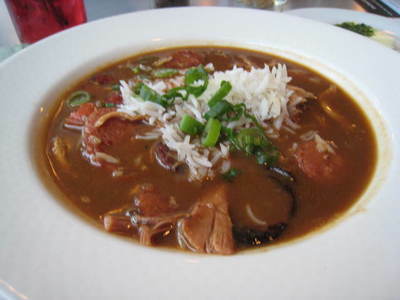 Gumbo is actually a Caribbean term for okra, a primary ingredient in most versions of the dish. Making a true Cajun-style gumbo absolutely requires celery, onion, bell pepper, and garlic. A note on the ingredients: If you can find fresh okra, use it, but okra gets a little slippery when you cut it, so be careful. As for the sausage, Chef Dave Miss prefers to unix pork and chicken Andouille, which can be found at any decent supermarket. Real Andouille will have some spice in it, so be aware that it will add heat to the gumbo. You can also substitute Polish kielbasa or Italian sausage for a tamer version. Dave likes to keep the bones on the chicken while cooking it, because it adds extra richness, but you can also get a deboned chicken to make your life easier. A note on equipment: a 10- or 12-inch cast-iron skillet with high sides is best for this recipe. You can also use a heavy frying pan with a copper bottom, which basically spreads the heat evenly so nothing will burn. All said and done, the total cook time is about three hours, allowing 30 minutes to prep, then about one hour of cooking on the stove top, and finally about one and half hours of simmering the gumbo. Make it a party! Invite friends to help and ask them to bring Louisiana’s famous Abita beer. 1. In a large bowl, combine the onions, bell peppers, celery, and garlic. Let the okra thaw for a while by submerging the bag in warm water until it is at room temperature. 2. Next, add the chicken stock to a big stock-pot over high heat. Add the reserved onion ends and celery trimmings. Bring the stock to a boil, then reduce the heat to medium-low. 3. Meanwhile, cut the andouille sausage into 1/4-inch-thick slices. Heat up a large sauté pan over high heat, then add the sausage and lower the heat to medium. Some store-bought Andouille is cooked (read the package) so just heat it through and brown it. Uncooked sausage from the butcher must be cooked for about 10 minutes, until the outside is brown and slightly crunchy. Remove the sausage from the pan, leaving the sausage grease. Set the sausage aside in a bowl. 4. Wash the chicken and pat dry. Reheat your pan over medium heat, and add the chicken pieces skin-side down. Cook 5 minutes per side, until brown. Set aside. 5. Now turn up the heat to medium-high and melt 1 tablespoon cannabutter, then add half of the chopped veggies.Sauté until the onions are translucent and everything else is a bit soft. Remove the sautéed veggies and set aside. Reserve the pan; you’ll use it again soon. 6. From the simmering chicken stock, remove and discard the onion tops and celery trimmings. Add the sautéed veggies and half the okra to the stock. Put the remaining okra in the bowl with the leftover uncooked veggies. 7. Now, you will make the roux by adding flour to the really flavorful grease and butter in the previously used sauté pan. This browned flour, oil, and cannabutter mixture is the basis for a gumbo with deep, rich Cajun flavor. Turn the heat to medium and add the oil. Use a wooden spoon to gently stir in the flour, mixing until the flour dissolves. Stir the roux, constantly scraping the bottom and sides of the pan. After 10 minutes of stirring, slowly add the remaining 1 tablespoon of cannabutter. Continue to stir for another 10 to 20 minutes, until the roux has turned the color of dark chocolate milk. Now, add the uncooked veggies. Mix the veggies into the roux until they are well coated. 8. After about 5 minutes, pour the contents of the pan into the simmering chicken stock mixture. Next, add the cooked chicken pieces, and bring the gumbo to a boil. 9. Use a glass measuring cup to scoop out 2 cups of liquid and add it to the hot sauté pan that held the roux. You want to get all of the flavor and psychoactive sauce from that pan, so use your wooden spoon and scrape all the bits off the sides and bottom. Pour it back into the big pot. Add a couple healthy shots of hot sauce. 10. Once the mixture has come up to boil, reduce the heat to medium-low. Add your thyme, cayenne pepper, black pepper, and bay leaves. Now, add 3 cups water to thin out the gumbo. 11. It needs to simmer for about 11/2 hours. Stir it up every now and then. After 50 minutes, add the andouille sausage and the oil from the bottom of the bowl. 12. Before you serve, remove any chicken bones and bay leaves from the gumbo. Taste and season with sea salt if desired. 13. To serve, scoop some rice into the bottom of a bowl, and ladle the gumbo on top. Garnish with the basil and parsley, and serve with crusty bread. You can freeze what you don’t immediately eat.